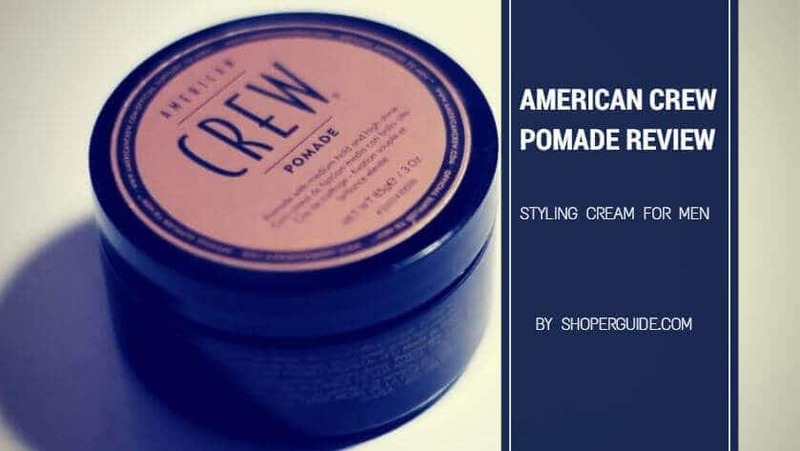 American Crew Pomade Review – Does It Really Work? What makes the difference between bad hair and the good one is the time, commitment and attention given to the hair. A well styled and treated hair will appear more healthy that those without treatment. And to consider the best pomade your hair needs, American crew pomade review is the answer to that. The American crew pomade is the perfect choice for every man out there with the desire to look good and attractive. There are many styling hair or pomade out there in the market from different brands, but only a few are good enough to give you the result that suits you. Of course, you might have tried lots of products and all avail to nothing and some you stopped the very first time of using the product because of the smell and its feel on your hair, if you fall into this category and need the best pomade, American crew pomade is your best companion. Pomade is a styling cream for men who take pride in their hairstyle. This can be used on men’s hair to create different style and design. There is two type of pomades which are water-based pomade and oil-based pomade. The water-based pomade is very easy to be rinsed with water off your hair while the oil-based has a much stronger hold on your hair and almost difficult to wash out of your hair. The crew pomade is made of a natural ingredient with lots of benefits to give to your hair such as Ginseng Root, Lanolin, Castor Beans. This natural ingredient makes the pomade one of the best in the market because of its amazing results from those using the styling cream. It can be applied to a different type of hair to give you an attractive look that you desire, and most ideals for medium hold high shine. It will provide you with hair a sleek and shining appearance which will get the attention of others. It is very flexible and a perfect alternative to gels. Gels, when applied to the hair, will ensure the hair stand firm and strong but isn’t flexible as you find it so hard to change the style of the hair once it gets dry. But with the crew pomade, it is very flexible, and you can have different hairstyle in a day if you are a very good hair stylist. As said earlier about the types of pomade you will find in the market; the American crew pomade is a water based pomade that can be washed out easily with shampoo and water without leaving behind any residue. Since it is made from natural ingredients, it commands all natural holding power which offers a greater hold on any style. It is only made of a natural ingredient without any additives, and it gives a natural scent that are pleasing to every user. One of the things that gets noticed about a man is the hair and the scent of this pomade can call on anyone’s attention without any action. 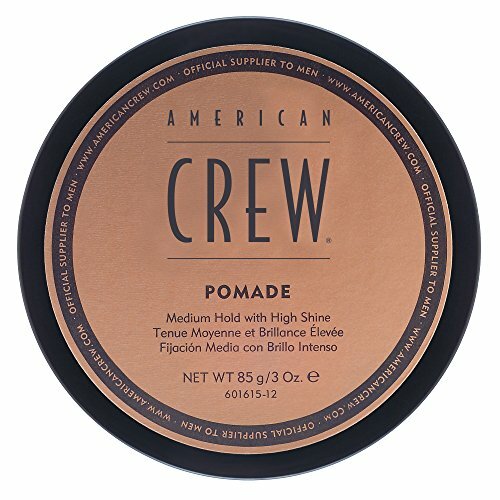 How to use the American crew pomade? The first thing you need to do is to keep your hair clean and free of dirt. So it is advisable that you wash the hair with men shampoo and after that you clean with a dryer. Most men prefer the use of hair towel to dry the hair, but it is an unhealthy act to the hair which can cause a lot of havoc to the look and freshness of your whole hair. Make use of hair dryer to keep off too much water but not too dry as it appears that half-dried hair styled with pomade comes out shining and glowing. Also, you can have your hair fully dried and then apply the pomade to style and get the perfect look you desire. Put small pomade on your palm and rub gently on your hair starting with the sides of your hair. Then to the center of your hair and ensure the pomade is applied evenly and then you can style to your taste. After the whole day, you wash off the pomade using shampoo with water and see to it that no residue is left behind. Q: How easy is it to wash out of hair? Q: What color is the pomade? Q: Do I have to wash every time I use the pomade? A: No, you can leave it for a whole week and wash with shampoo at the end of the week. 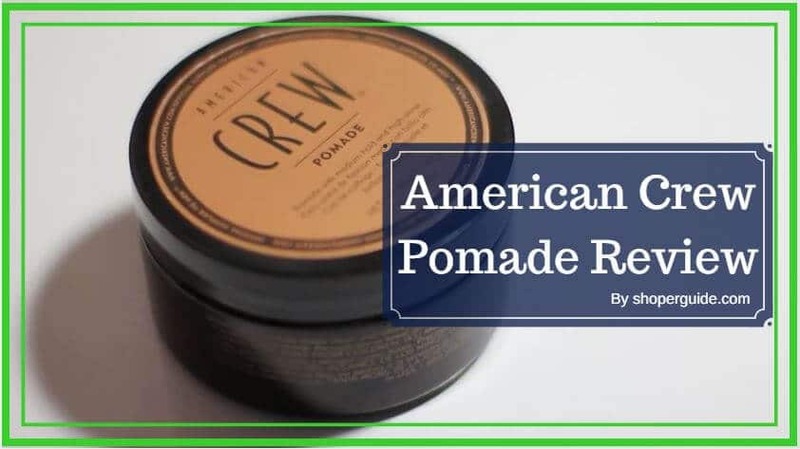 The American crew pomade review is the answer for men out there in search for the perfect way to style their hair without stress. Everyone deserves to look good and attractive, and for those who take pride in their hairstyle, the American crew pomade is a good product to consider. Try it out today. American Crew Fiber Review | Does it Keeps the Hair in Place?